Sicily is an Italian region with a rainbow of colors that goes from the blue of the sea to the white of its beaches and the yellow of its cultivated fields, from the parched earth during the summer to the black of its volcanoes. An island that hosts ancient cultures, evidence of the Greco-Roman age, and offers sea, baroque cities, vineyards and volcanoes that will simply steal your heart. 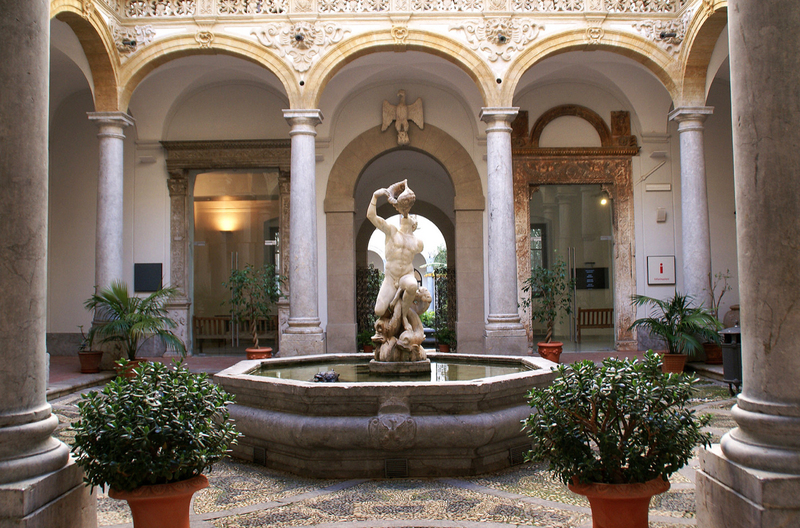 Discover the main attractions of Sicily selected for you by Italy-museum.com and organize your visit! 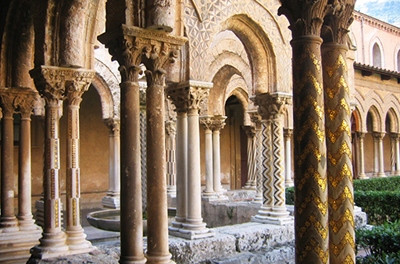 The Basilica of Monreale monumental complex is composed of the Basilica, the Convent with the Cloister and the Royal Palace. It was built in the 12th century by the Norman king William II called "The Good". 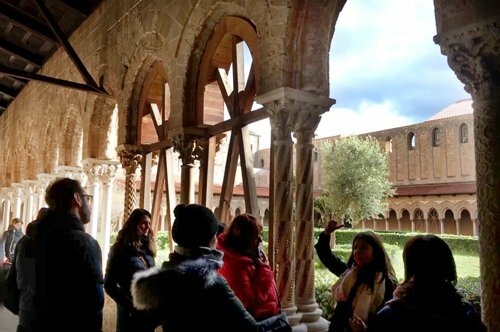 The Basilica is also known as the Cathedral of Monreale, one of the most beautiful examples of how art has managed to get in harmony with the human heart. 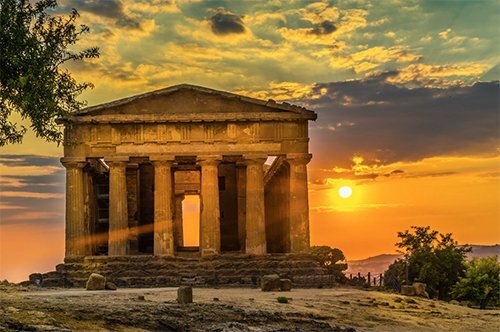 The Valley of the Temples, characterized by the remains of twelve temples, is one of the most representative and best-preserved archaeological sites of the classical Greek civilization. 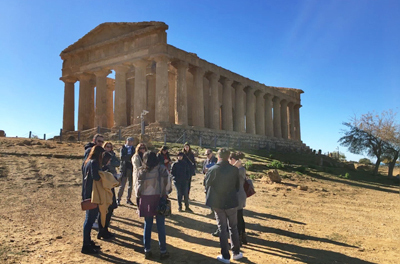 The archaeological area includes the remains of the ancient city of Akragas, which was the original nucleus of modern Agrigento and which today is an archaeological park with an impressive view. The Zisa Castle is famous for its ghosts and its garden. 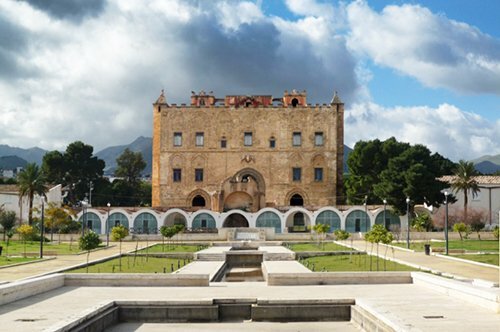 It has an Islamic architecture dating back to the 12th century and rises outside the walls of the city of Palermo, conceived to be the summer residence of the kings. 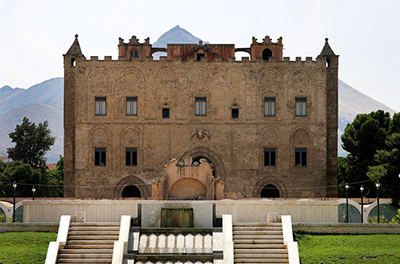 The name Zisa comes from the Arabic al-Azîz which means "splendid, magnificent" and represents one of the best examples of union between Arab art and Norman architecture. 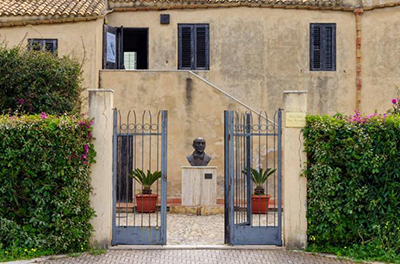 The Archaeological Museum "Pietro Griffo" in Agrigento is undoubtedly one of the most important and visited archaeological museums in Sicily. An archaeological museum that houses 5688 artifacts organized by a chronological criterion that goes from the prehistory to the end of the Greco-Roman era. A great treasure that will surely amaze you! Luigi Pirandello was an Italian narrator, playwright, writer and poet, Nobel Prize for Literature in 1934. 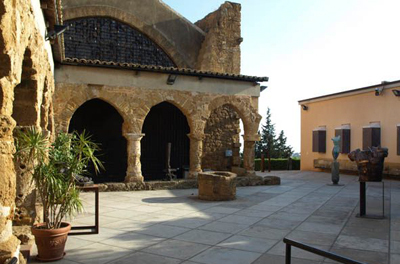 Nowadays, his native house, at the foot of Agrigento, stands alone and silent in the countryside. This eighteenth century building was declared a national monument in 1949. 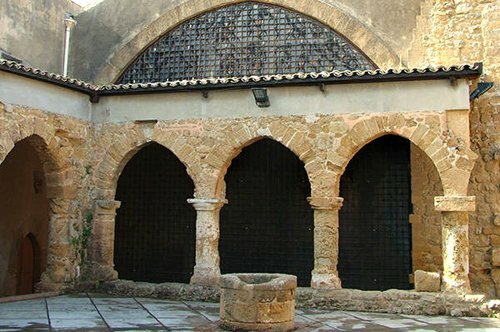 The "Antonio Salinas" Archaeological Museum in Palermo has one of the richest archaeological collections in Italy, it is evidence of the history of Sicily in all its phases, from prehistory to the Middle Ages. 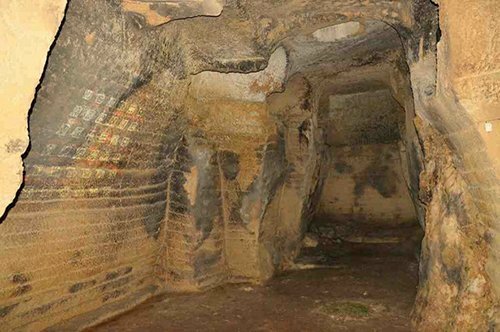 With a transparent and bright cover, this museum will take you to discover the archeology of this fascinating island! 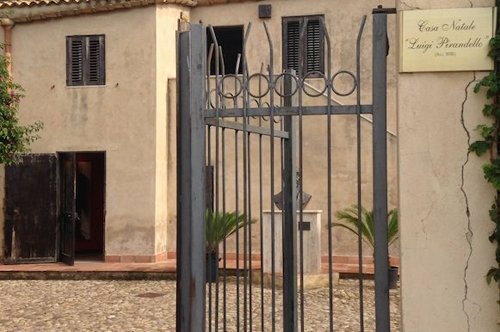 Is it possible to visit Sicily in three days? Sicily is one of the gems of Italy and it is possible to arrive in just one hour by plane, but it is not possible to visit the whole island in 3 days. 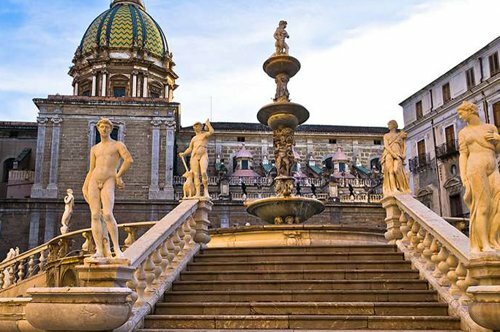 The first day you can visit the picturesque city of Palermo and choose between places of interest such as the Zisa Castle, the Basilica of Monreale Complex, the Salinas Museum and, if you like archeology, the Archaeological Museum Pietro Griffo. 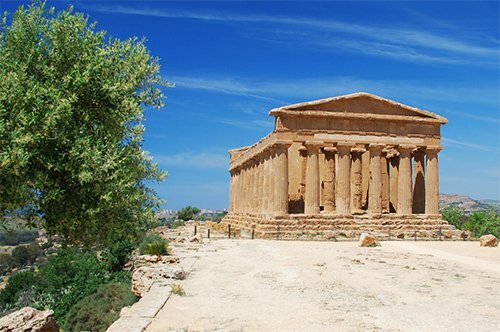 The second day you can rent a car and within two hours you will reach Agrigento, where you can explore the Valley of the Temples and Luigi Pirandello's house. The third day, relax on one of the beautiful beaches near Palermo. With little time available, this is just a sample of the itinerary for you to come back! 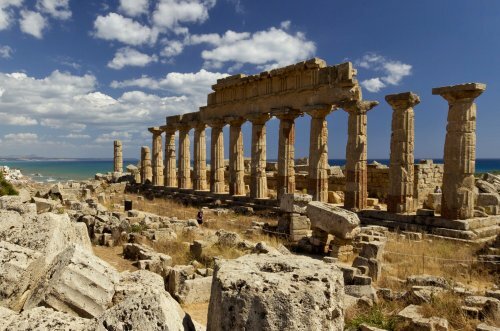 Which is the best period to visit Sicily? Sicily can be visited throughout the year, May, June and September are good months to go, but if you do not like large crowds, avoid the month of August! Many inhabitants of Sicily say they have only two seasons: summer that lasts 9 months and winter that lasts the other 3 months of the year. Its mild climate will allow you to visit it with tranquility, taking advantage not only of the sea but also of the beautiful Sicilian cities, museums and churches. Which are the typical dishes of Sicily? The Sicilian gastronomic tradition is among the richest in Italy and thanks to the different cultures that have settled on the island over the centuries, it has a complex cuisine of Mediterranean flavors with a unique balance between sea and land. You can not leave Sicily without having tried the main culinary specialties of the island such as Cannolo, Cassata, Arancino, la Pasta alla Norma, Caponata, Pasta with Sardines, Almond Paste among others.